The common cold is the most common infection in the world—we all get colds from time to time. While they can't be completely avoided, I know pretty much as soon as I get sick, my first thought is, "when will I feel like myself again?" Somehow, I am sure I'm not the only one. While colds certainly aren't the worst of the common illnesses out there, no one wants to get one—and when you have one, you just want to feel better. Luckily, colds are typically fairly short-lived, and most of us recover from them without any real treatment or complications. When you get a cold, symptoms can vary and the duration of your illness is unpredictable, but most colds last between 7 and 10 days. However, they can last anywhere from 2 days to 2 weeks. While you probably won't get all of these symptoms every time you get sick with a cold, you will have some of them. Believe it or not, there is not just one virus that causes cold symptoms. There are actually over 200 viruses (at least) that lead to symptoms that we refer to as "cold symptoms." These upper respiratory infections are hard to avoid, especially during colder months. Contrary to popular belief—and old wives' tales—colds are not caused by cold weather or a change in the temperature outside. 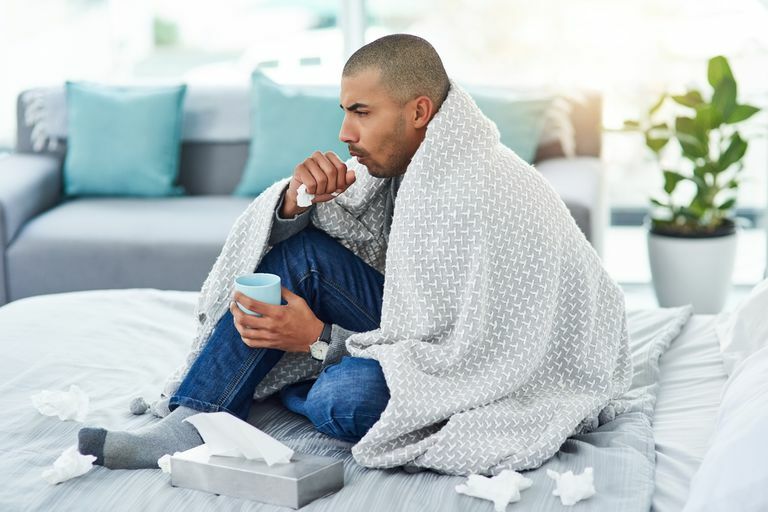 Although the germs that cause them spread more easily in these conditions, the weather alone is not responsible for the symptoms you experience when you get a cold. Only one of those hundreds of viruses can do that. After you are exposed to a cold virus, symptoms typically start to appear 2 to 3 days later. This is called the incubation period. Every illness has an incubation period but how long it is will differ depending on the cause. When you have a cold you are contagious, meaning you can spread it to other people. Cold viruses are most often spread by droplets when you sneeze, cough, or otherwise expel mucus or saliva from your body. The virus lives in these droplets and can live on surfaces outside of the body for up to three hours. This means you can spread the virus to someone you don't actually come into contact with just by touching a surface or sneezing or coughing on something that someone will later touch. Disinfect contaminated objects and surfaces. Isolate the affected person until the symptoms have passed. People are most contagious with the common cold for the first 3 to 4 days after the symptoms appear but can spread the virus for up to 3 weeks. Children tend to be more contagious than adults. They also get sick with colds more frequently because they haven't built up immunity to as many viruses as adults have. There is no cure for the common cold, so treatment really consists of relieving your symptoms. There are many medications out there that claim to relieve cold symptoms. Some of them may help and others won't. Figuring out which one is right for you can be tricky when there are so many options. It's best to take medications that treat only the symptoms you have, so you aren't taking medication that you don't need, which can cause unnecessary side effects. Although multi-symptom medications seem quick and convenient, pay attention to the ingredients in what you are taking. Parents should never use aspirin (acetylsalicylate) or salicylic acid-based drugs (like Pepto Bismol) to treat a cold in children 18 and under as this may cause a rare but potentially life-threatening condition known as Reye's syndrome. If you don't want to take medications or you are looking for other ways to feel better, there are plenty of things you can do that don't involve swallowing a pill. Getting plenty of rest and staying hydrated are just a few things you can do to recover from your cold at home. You can also try saline spray for congestion or use a neti pot to rinse mucus out of your sinuses. Just remember to always use distilled or previously boiled water if you are rinsing your sinuses to avoid an even more severe infection. In the end, your cold should go away in about a week. If you still have symptoms after that—and especially if they are getting worse instead of better—contact your health care provider for an evaluation. It could be that your symptoms are caused by something other than a cold or you have developed another infection. While most colds go away on their own, if you have a different infection, you may need further treatment. US National Library of Medicine. National Institutes of Health. Common Cold. MedlinePlus 17 Jun 13. American Lung Association. Facts About The Common Cold.